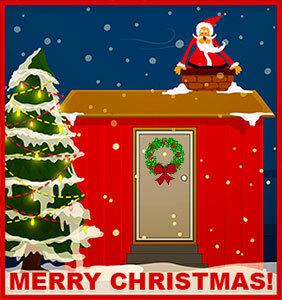 These Christmas houses include Santa coming down the chimney, colored lights and a wreath on the outside of the house. Some include various amounts of snow. Through the one window can be seen a Christmas tree with flashing lights and gifts. Through the second down stair window is a fireplace with stockings hanging from the mantle. Upstairs can be seen 2 children trying to discover just where that Ho-Ho-Ho sound is coming from. Shouldn't they be asleep by now? House with Christmas trees and reindeer. For Santa, going down and up chimneys can be a little dangerous. Watch that first step. Christmas house with animated snow, deer and flashing Christmas lights. Snowy Christmas house and a happy snowman. Santa working his way down the chimney of a Christmas house with Merry Christmas. Christmas house with animated trees. Christmas house with snowman, wreath and tree. Christmas house with visitor at the door. Gumdrops, candy canes and a brick chimney for Santa. 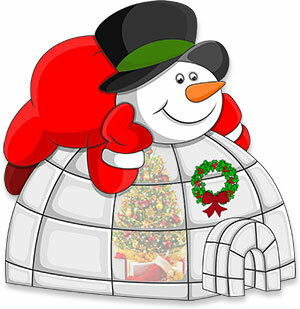 Frosty The Snowman enjoying his Christmas igloo. A row of Christmas houses on a snowy night. Christmas house with wreath and tree in window. 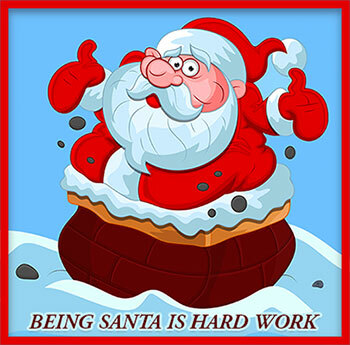 Santa is stuck in your chimney - being Santa is hard work. Christmas house at night with plenty of snow on the ground and stars in the sky. Merry Christmas from the Frosty house. Christmas house with Santa Claus, Frosty The Snowman, wreaths and trees. 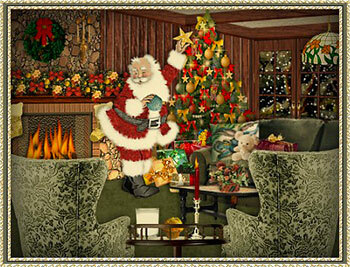 Santa Claus arriving from the fireplace animation. 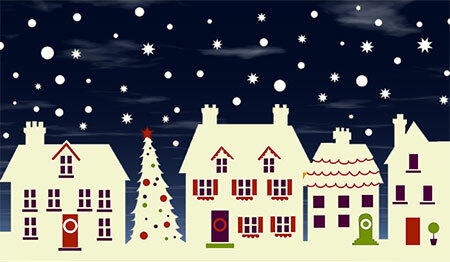 Christmas houses and village animation. Christmas house covered in snow. Santa Claus placing presents down your chimney with Merry Christmas. 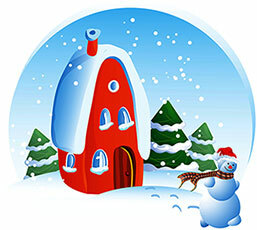 Christmas house animated with heavy snow. Country house with snow and a Christmas star in the night sky - Merry Christmas! Christmas House with many bright animated lights. Just the right present under the Christmas tree. Christmas house with snowman and Merry Christmas. Another Christmas house at night. The lights are on, come inside and get warm. Christmas house with snow and bright star animation. Santa Claus is sleeping. Needs his rest for Christmas Eve. 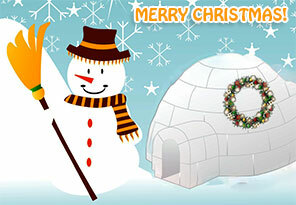 Santa and friends at his house with snow animation. Santa adding a few extra touches to the Christmas tree. Christmas house with wreaths, garlands and lots of snow. 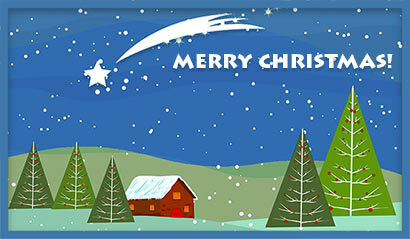 Santa Claus with Merry Christmas animation. Christmas house with wreath and animated snow. 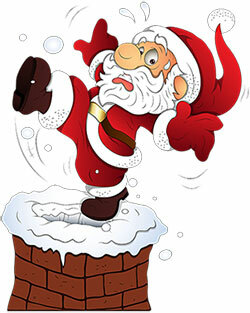 A nimble Santa Claus going down the chimney animation. 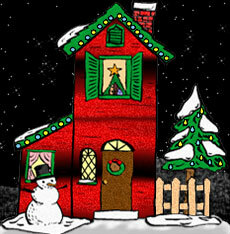 Animated house at Christmas time with snow.